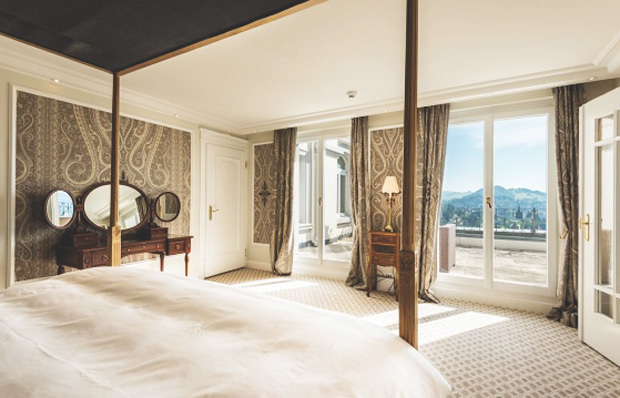 It has been a while since featured some architecture and interior design here and so today, would like to share internationally renowned interior designer Martyn Lawrence Bullard’s most recent success at Château Gütsch. 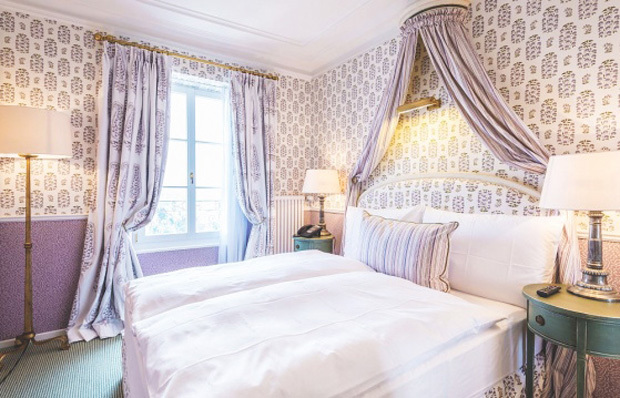 This is 27-room boutique hotel and restaurant is housed in one of Switzerland’s most famous buildings, dating from the 19th century. 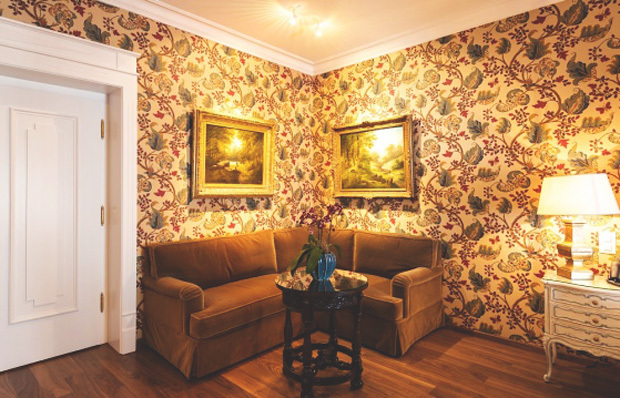 It has been said that Bullard injected entirely new life into Château Gütsch with extensive refurbishment and has made it grander than ever. 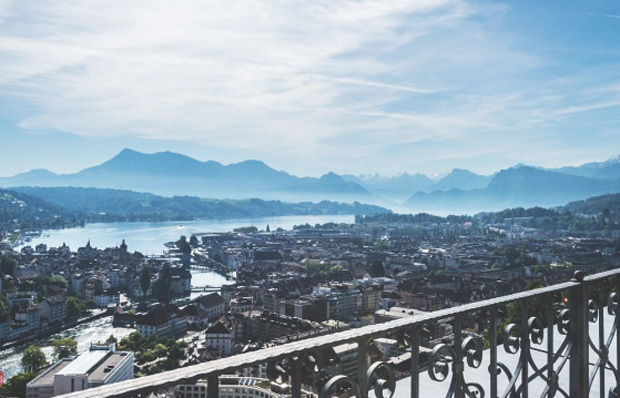 The historical property overlooks the Swiss lake-side city of Lucerne, and beyond the buildings there are views of Rigi Mountain. 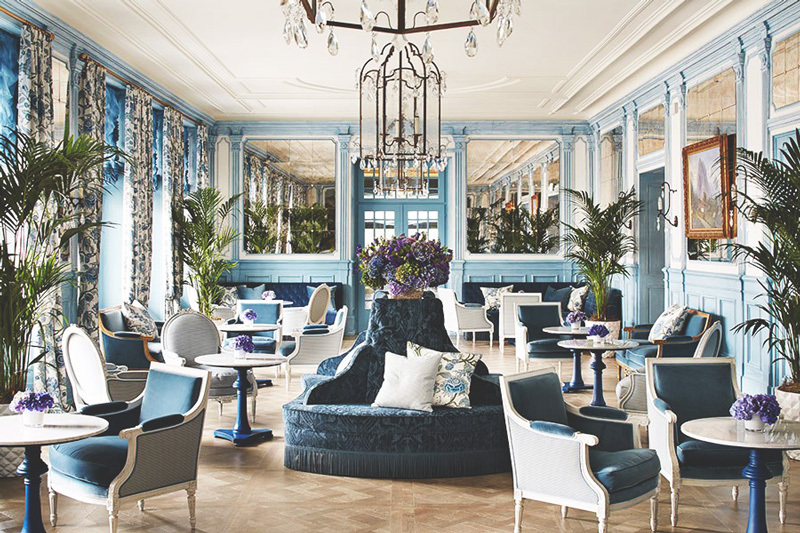 Mesmerizing patterns and majestic hues, the updated décor was inspired by the fairy tale castles of Bavaria. 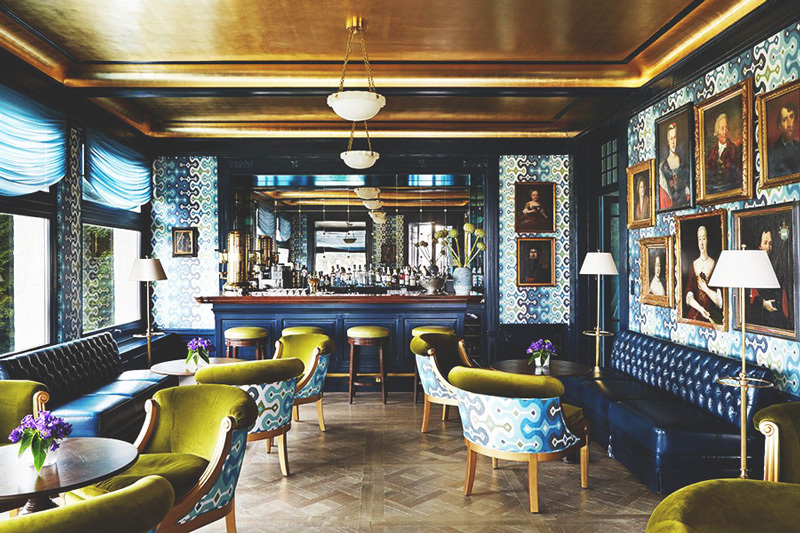 Bullard stayed true to the property’s history by accenting with ancestral portraits from the original property owners’ collection, and layered with Louis XV–style furniture, and Swiss and Gustavian antiques, giving the hotel a truly global appeal. 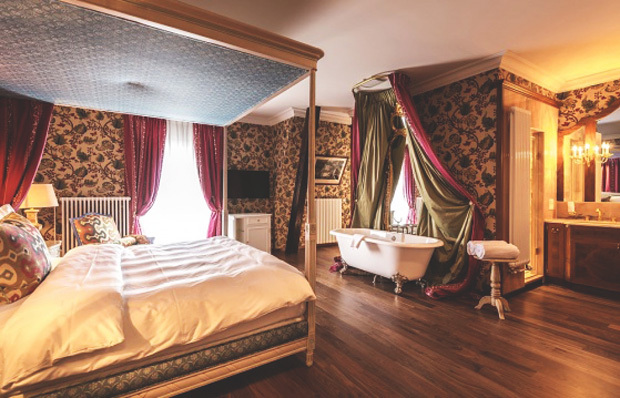 Claw footed bath tubs, draped windows, dramatic four-poster beds and a whimsical collection of 17th, 18th and 19th century paintings – there’s nothing short of history and swiss bliss at this hotel. 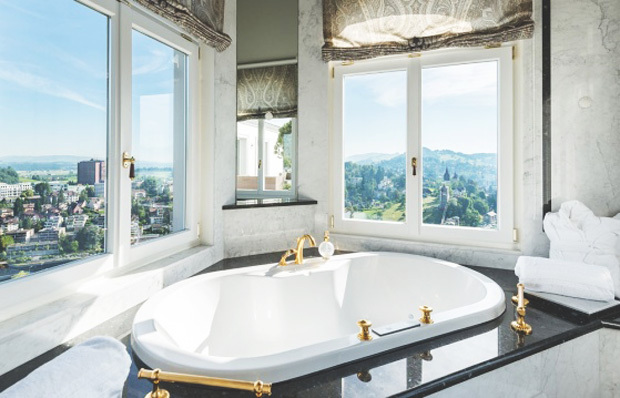 Although first saw a preview of the space via Bullard’s Instagram account, when discovering additional photos of the hotel, was immediately drawn to the lilac infused room (see below & more lilac here) and the unbelievable view of the city.